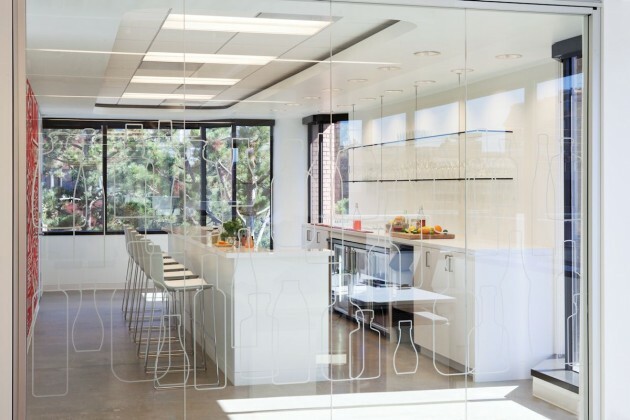 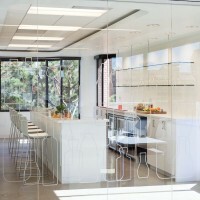 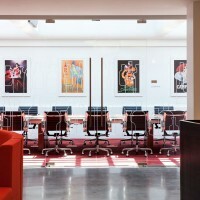 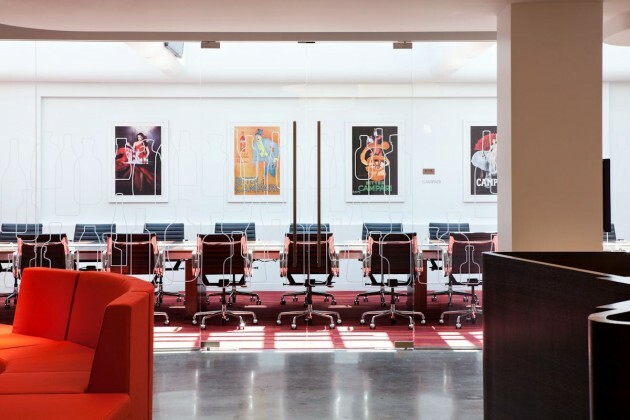 Rapt Studio have designed the headquarters for Campari America in San Francisco, California. 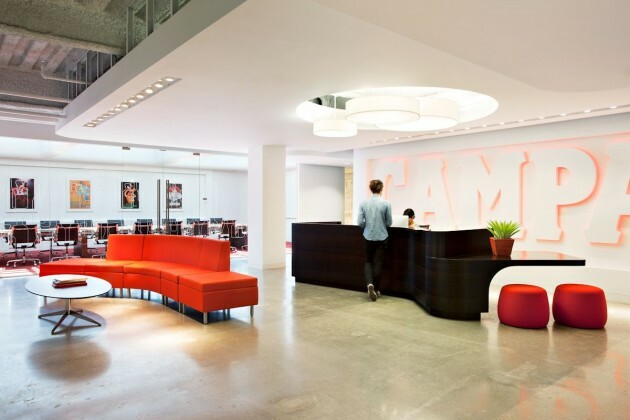 The Campari America brand is clean, classic, and prestigious. 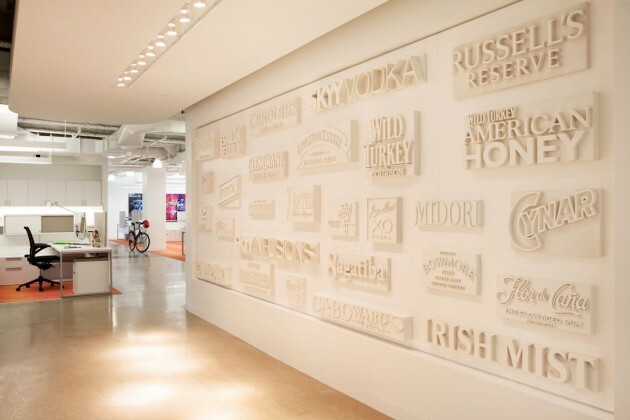 The American headquarters forges a connection of that brand through its space. 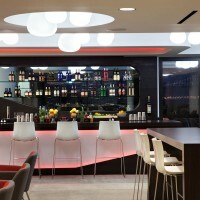 Campari America is one of the largest spirits company in the world. 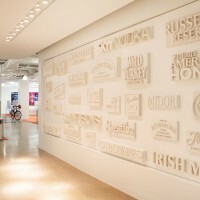 The company houses award-winning liquors and exudes a tasteful, classic identity. 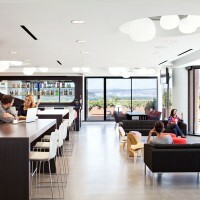 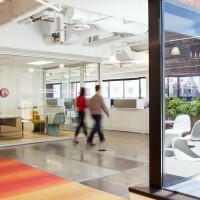 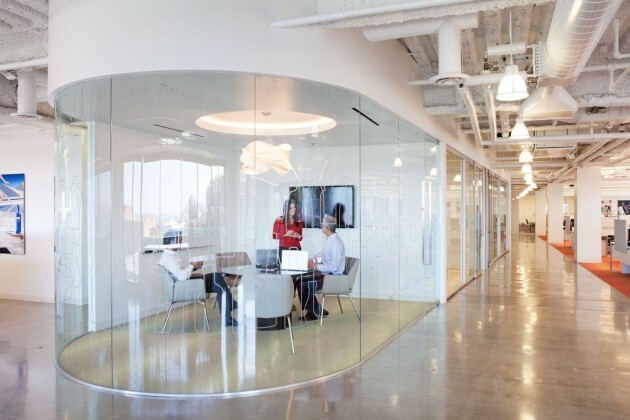 The space connects to that identity with a fluid and vibrant workplace that fosters faster communication, more dynamic interactions between work groups, and cohesive relationships between coworkers. 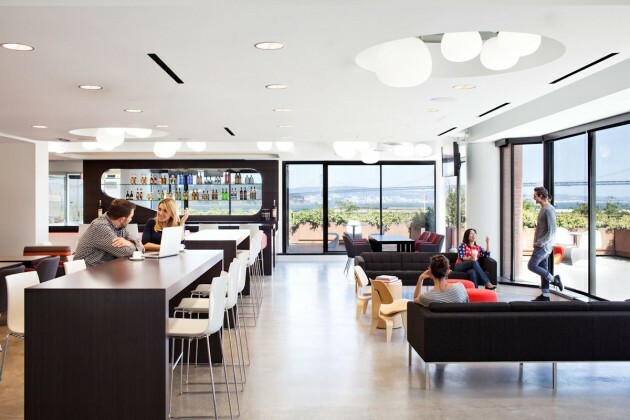 It’s a workplace built for speed, with intentional brand design.